During your stay in Madrid you can not miss the opportunity of visiting two of the most important monuments located on the outskirts of Madrid. You will go to the the Valley of the Fallen and the Monastery of El Escorial and get all the secrets behind them from your private guide. Departing from Madrid, you’ll be taken to the the Valley of the Fallen, a complex built between the years 1940 and 1958 as a memorial monument to honor the memory of the fallen. There, you’ll find the largest cross of the Christian world, as well as the tombs of Francisco Franco and José Antonio Primo de Rivera. 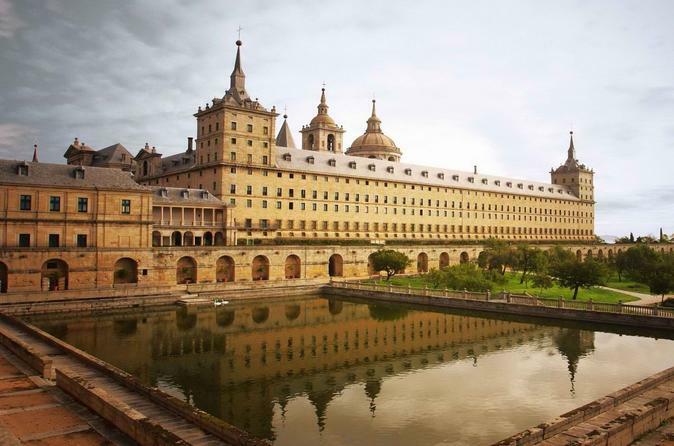 Afterwards, we will go to the Monastery of El Escorial, where you’ll visit the former home of the Royal Spanish Family, the basilica that houses the tombs of former Spanish kings, and the monastery, founded by monks of St. Jerome’s Order, currently occupied by friars of St. Augustine’s Order. This monastery is one of the most curious renaissance buildings in Spain and overall of Europe. Besides, you’ll get to visit the gardens of the friars, ultimate proof of the concept of gardening that King Phillip II had, which was finding visual beauty as well as allowing the cultivation of vegetables and fruits.